Ross before you’re in for a real treat. 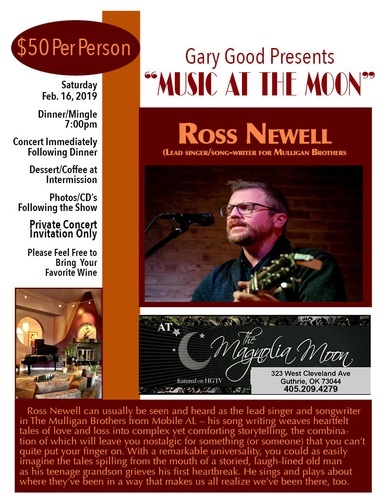 Ross has promised for all those who are bringing your Sweetheart to this concert as a Valentine date, he will add some sweetness for the occasion. As always, you are always welcome to tell a friend about our Music at the Moon concerts.